In 2017, we focused on accelerating the development of our entrepreneurs by using our learnings from the past and leveraging digital technology to deepen our business support initiatives. Financial Knowledge. Our efforts to scale our financial literacy support was boosted in September through a Memorandum of Understanding with ACCA Nigeria to provide better financial management learning and support services for Nigerian entrepreneurs. Digital Enablement. 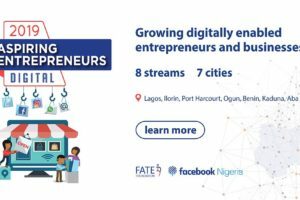 In November, we announced our partnership with Facebook to provide a 4-week digital focused enterprise training for 320 young entrepreneurs across 7 major cities starting in February 2018. Details here. Accelerating Growth of High Potential Businesses. With the support of the ACA Foundation, we launched our signature ScaleUp Lab Accelerator programme starting with 10 high potential agribusinesses. Highlights here. Scholarship Support for Aspiring Entrepreneurs. 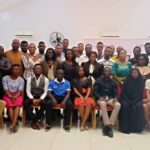 Funding support from the Aspire Coronation Trust (ACT) Foundation enabled us to provide scholarships to 60 aspiring entrepreneurs for our AEP 60 & 61 streams who are now going on to enrol in our 1 year mentoring programme. Financing Youth StartUps. 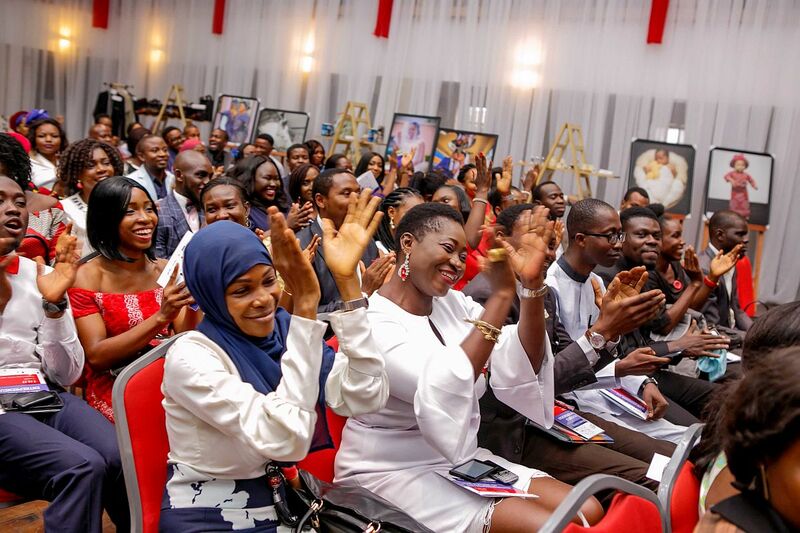 Through the NEXT Economy programme which we supported in Lagos and Abuja, the 6 month pre-incubation program culminated in a crowd funding stage where over 90 youths have raised funds to transition their ideas to live businesses. View some of the businesses here. Nigerian Entrepreneurship Ecosystem Research. We presented our KPMG supported Nigerian Ecosystem Mapping Report and also our 2017 list of Key Ecosystem Players in June to Stakeholders at our Policy Dialogue Programme. Digitising Knowledge Dissemination. Our msmehub.org platform became fully live in July as we aim to be the go to virtual resource center for Nigerian Entrepreneurs through articles, research, videos, infographics, tools and templates. Visit msmehub.org for over 200 free content to date. Sharing. Our 3rd Policy Dialogue Series on Entrepreneurship in June focused on discussions around youth scaling entrepreneurship through state-led efforts. The outcomes of these conversations have further emboldened our plans to focus on scaling businesses. Pictures here. Networking. In September, we had over 300 delegates at our 2nd Annual Alumni Conference which hosted 13 speakers, 5 sessions, and 13 free consulting stands for a full day of learning and networking among FATE Alumni. Pictures here. Celebrating. Our 2017 Annual Celebration in December was the grand finale of all our work celebrating our Entrepreneurs, Volunteers and Partners through the year. 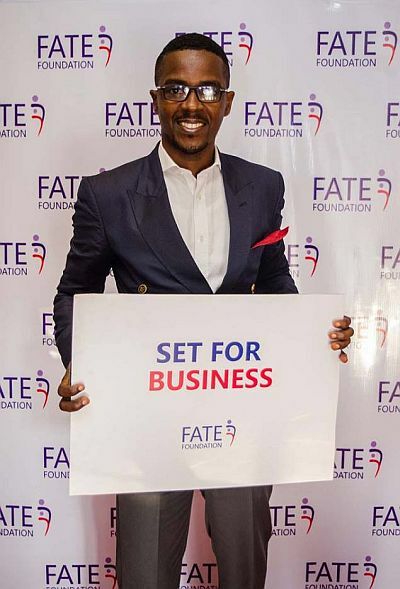 The FATE Model Entrepreneur Award was also presented to Kofo Akinkugbe, Founder & CEO, SecureID. Pictures here. 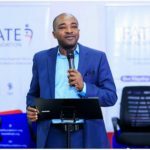 Special appreciation goes to our Founder & Chairman, Mr. Fola Adeola, the FATE Board of Directors, our Volunteers and the FATE Team for their support in making this a stellar year. 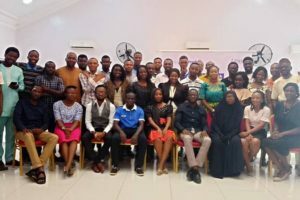 Rollout of the YBI & Accenture Supported Digital Platform to provide virtual business advisory support for thousands of Youth Entrepreneurs across Nigeria. A revamped Alumni Hub Platform. Launch of our E-Learning full course certificate programmes. Disseminating research findings on Scaling Businesses and Financial Literacy. Our very best wishes for the new year and looking forward to sharing and celebrating more stories on Nigerian entrepreneurs starting, growing and sustainably scaling in 2018.